You may or may not have noticed my absence from this blog for the past two months. There were two main reasons: 1) I went to Melbourne for a Summer school/holiday, and 2) After I returned I had to complete my PhD confirmation. 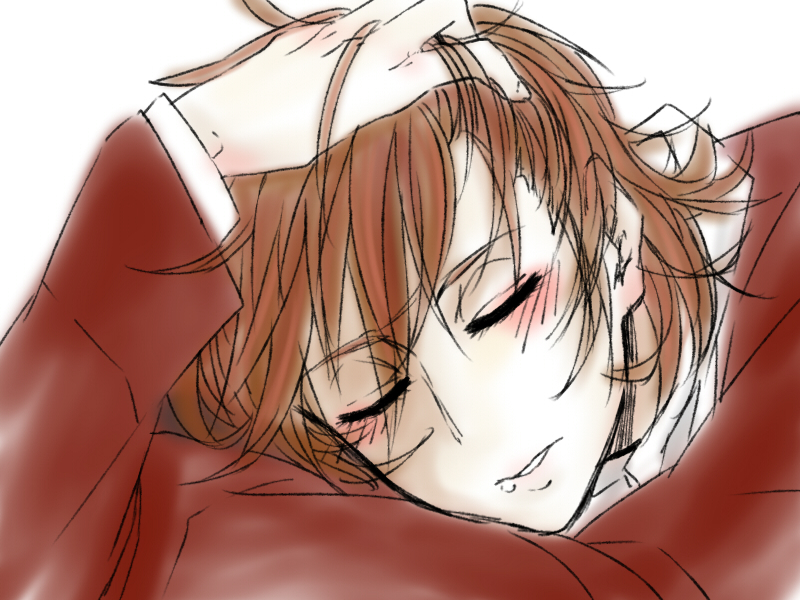 Anyhow, I am back now and hopefully along with my usual J-related news updates. Unfortunately, halfway through my Melbourne trip my phone SD card suddenly died/wiped itself, so I lost all the photos and data I had on my phone; I tried recovery programs but it was no use. Brunetti's - An expensive but awesome coffee/desert shop in Melbourne. 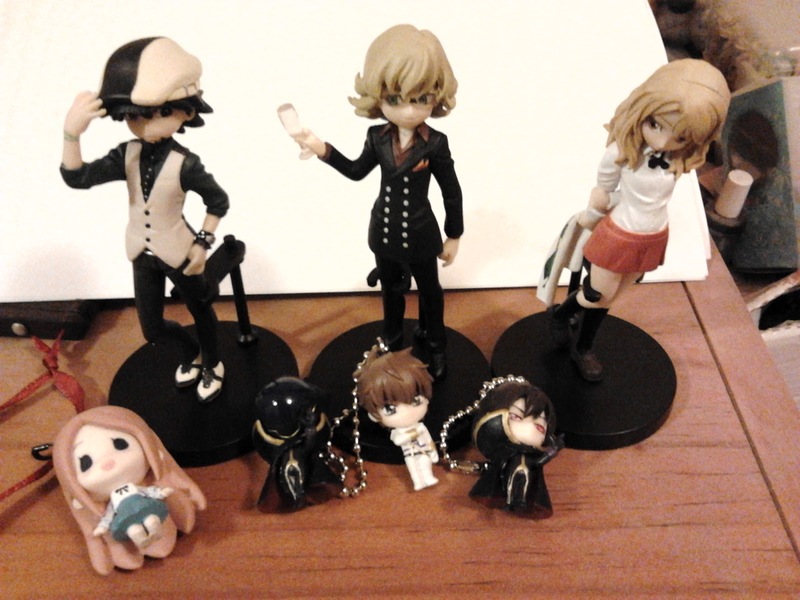 Tiger, Bunny and Karina figurines (from Tiger and Bunny), Himari keychain (from Mawaru Penguindrum), and Zero, Suzaku and Lelouch keychains (from Code Geass). 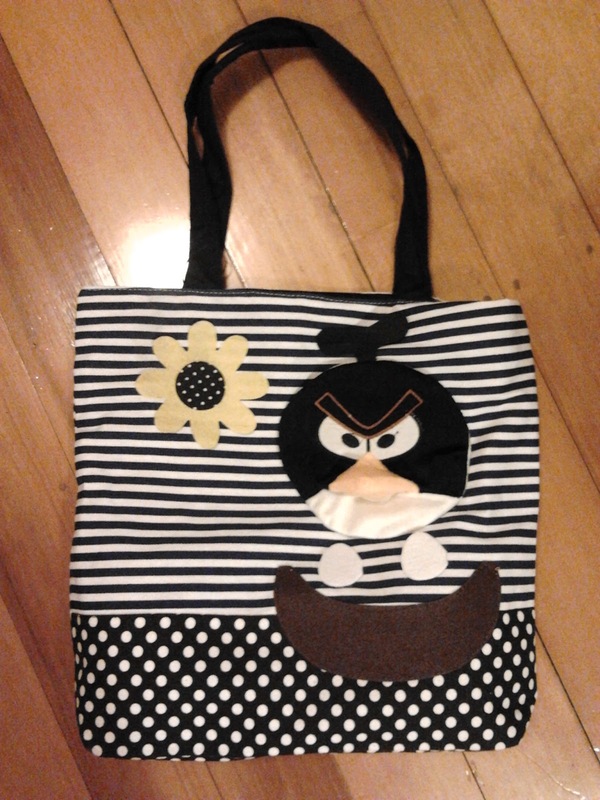 Yes okay, it's a fake angry bird but isn't it adorable? 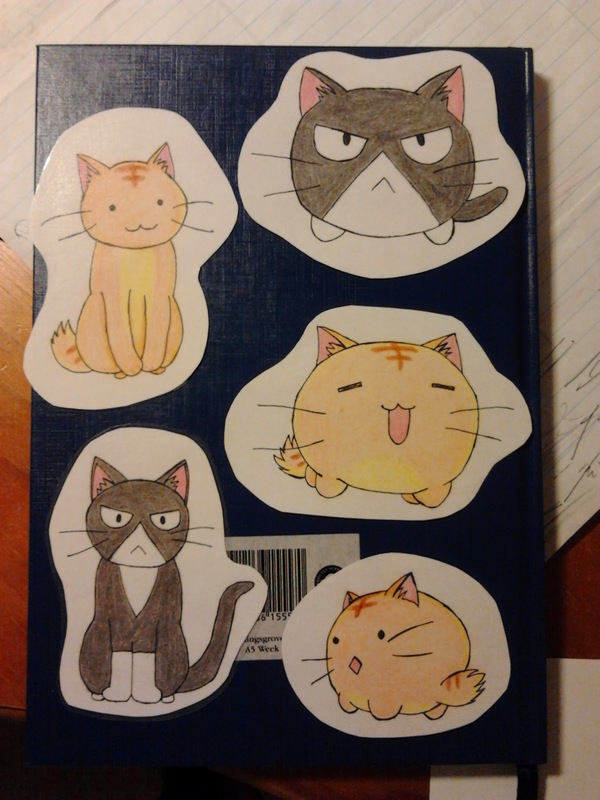 Yesterday I also completed a few bookmarks to stick on my wall. Kuro and Poyo from Poyopoyo Kansatsu nikki. 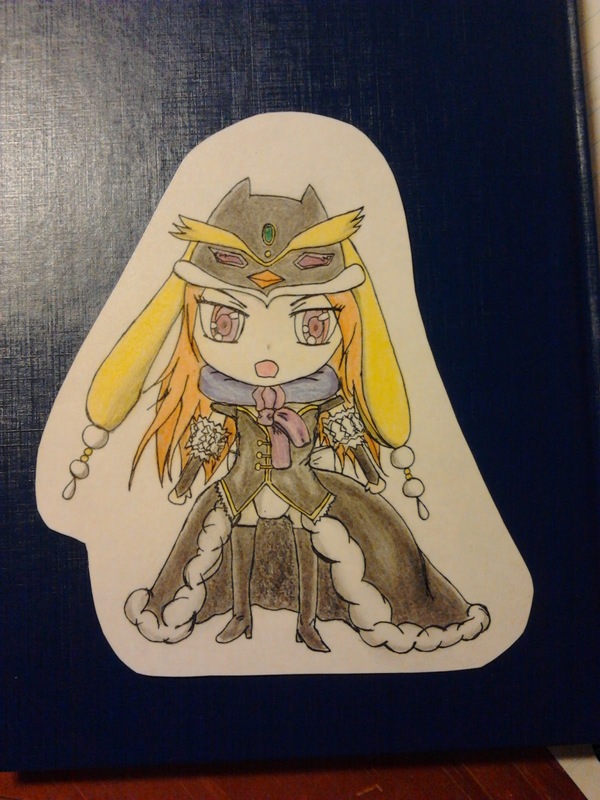 The princess from Mawaru Penguindrum. So what are my latest plans/projects? None. I'm happy to receive ideas and feedback or even requests! A new channel featuring music content from Asia (A-Pop) has been launched on YouTube. In accordance with this, a Google+ page has also been launched to share music from Japan, Korea, and China. As the opening project, there will be a special event between artists and fans from March 8 to the 14. Participants of this project include Kyary Pamyu Pamyu and flumpool from Japan, 2PM,SUPER JUNIOR, and SHINee from Korea, and MAYDAY and LeeHom Wang from China. The artists will take turns interacting with their fans via Google+ hangout. Currently, Google+ is looking for questions and messages of support to artists. The due date for these submissions is set to February 25. The video ends with KEI answering a few questions about life as an illustrator — and how Miku got her signature twin tail hairstyle. 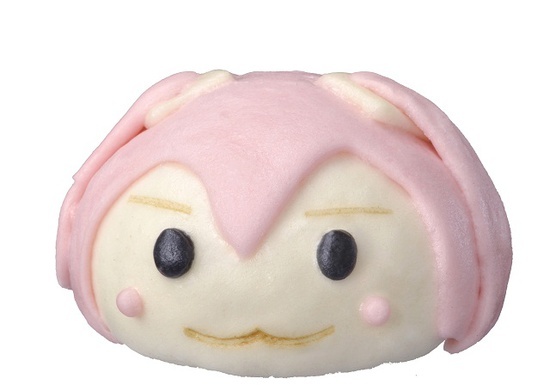 The FamilyMart chain of convenience stores will begin selling Sakura Miku Man (Koshian) — sweet bean jam buns inspired by the springtime variant of virtual idol Hatsune Miku — about when the cherry blossoms bloom on March 19. This is FamilyMart's second steamed bun inspired by Hatsune Miku, after last summer's Hachune Miku Man. The new buns will cost 160 yen (about US$1.70) in about 9,300 FamilyMart locations nationwide. 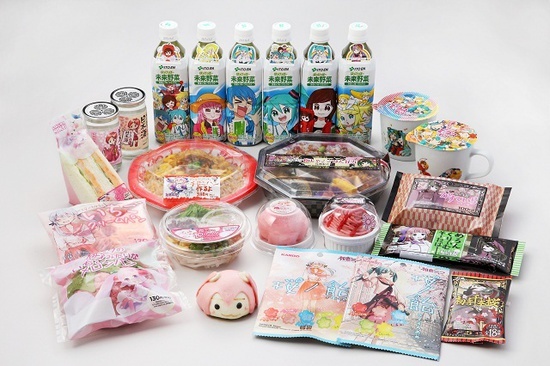 It is just part of a larger "Hatsune Miku de Sakura no Ua no Campaign" of 16 different Hatsune Miku items, including Ume (dried plum) & Jako (dried sardine) Ricebentō (boxed meal), bread, and desserts, that will start rolling out on March 5. Most of them will have seasonal themes such as Sakura Miku and the popular songs "Senbonzakura" (One Thousand Cherry Blossoms) and "Sakura no Ame" ("Rain of Cherry Blossom"). The "Po Pi Po" (Poppippo) vegetable juice is back with six designs. FamilyMart has priced the drink at 200 yen (US$2.15) — to match the lyrics in the original "Po Pi Po" song. 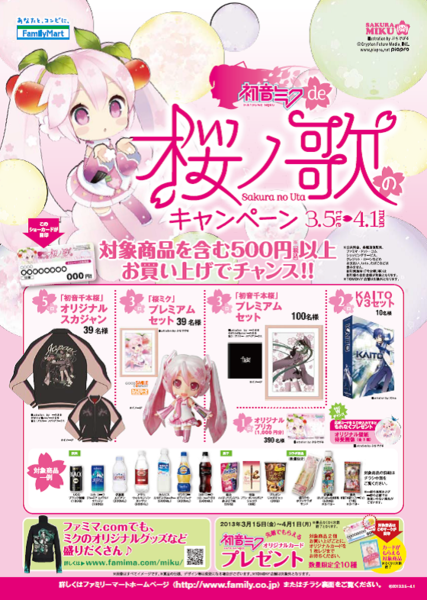 People who buy 500 yen or more of these items will have a chance to win prizes such as 39 satin varsity-style "Hatsune Senbonzakura" jackets, 39 premium Sakura Miku Nendoroid sets, 100 "Hatsune Senbonzakura" premium sets, and 10 Kaito V3 software sets. In addition, people who buy two of the sweets will receive a Hatsune Miku Crystal Card, starting on March 15 and while supplies last. The official Hatsune Miku channel on YouTube presented the second part of the Snow Miku Report 2013 on Friday. The video features various Vocaloid exhibits from the 64th annual Sapporo Snow Festival, including an art and merchandise gallery, a Hatsune Miku playground, workshops, game demos and a graffiti wall. 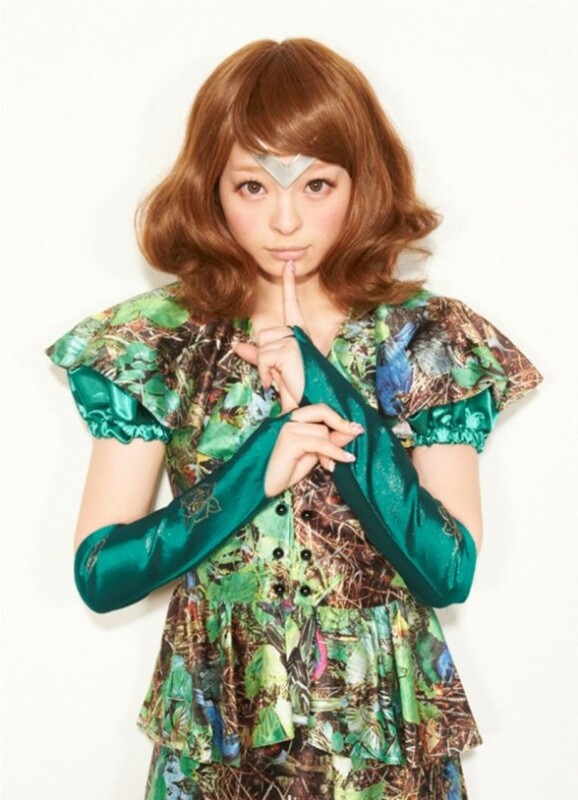 The video also features an interview with the artist Chiho, who was featured in the art gallery. Hino launched the manga in LaLa in 2004, and the manga entered its final arc last month. Hakusensha published the 17th compiled book volume in December. The staff at the Ghost in the Shell Arise press conference revealed more details on Tuesday about the Ghost in the Shell Online(tentative title) PC game. The staff revealed that the game is classified as a "hacking-FPS" (First Person Shooter) game. Neoburu, a subsidiary company of game-developer Nexon, is in charge of the game's development. The game lets players strengthen their characters by utilizing information and remodeling their cyborg bodies. Players will also be able to collaborate with Tachikoma to fight. Nexon plans to release the game in the first half of 2014. The company also plans to release the game worldwide, although a time frame for the worldwide release has not yet been revealed. Famitsu and Online Gamer have both posted additional artwork images for the game and pictures from the presentation. 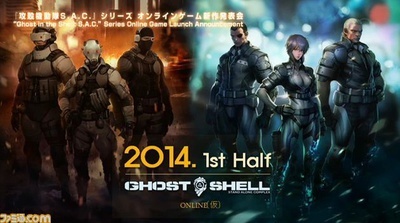 Nexon announced in December that it had signed an agreement with Japanese publisher Kodansha to develop and release a PC online game based on the anime titles Ghost in the Shell: Stand Alone Complex, Ghost in the Shell: Stand Alone Complex 2nd GIG, and Ghost in the Shell: Stand Alone Complex: Solid State Society. The company's releases in Japan include MapleStory, Arad Senki(Dungeon & Fighter/Dungeon Fighter Online, the inspiration for the Slap Up Party -Arad Senki- anime), Mabinogi, Sudden Attack, and around 60 other games. Nexon currently operates in more than 100 countries and territories in Asia, North America, Europe, and elsewhere. 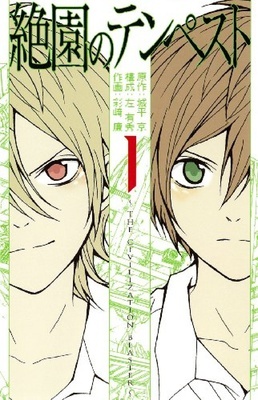 Manga artist Ren Saizaki announced on Wednesday that the Zetsuen no Tempest: The Civilization Blaster manga's main story is ending in the April issue of Square Enix's Monthly Shonen Gangan magazine on March 12. However, Saizaki with writer Kyo Shirodaira and story collaborator Arihide Sano are continuing with a spinoff story. The main story centers around Yoshino Takigawa, an ordinary high school student with a mysterious friend named Mahiro Fuwa. Mahiro made a deal with a witch named Hakaze to hunt down the killers of his parents and sister. Now Mahiro is missing, and Hakaze confronts Yoshino. Yoshino finds himself involved in a crisis that may doom the entire world. The manga debuted in Monthly Shonen Gangan in 2009, and Square Enix published the eighth book volume last month. 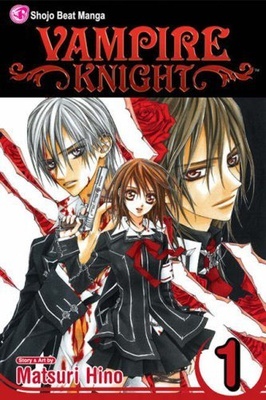 The fantasy mystery manga inspired a television anime series last Fall that is still ongoing. The sculpture debuted at the Sapporo Snow Festival earlier this month. This is the third "Snow Miku" that Hatakeyama has sculpted. 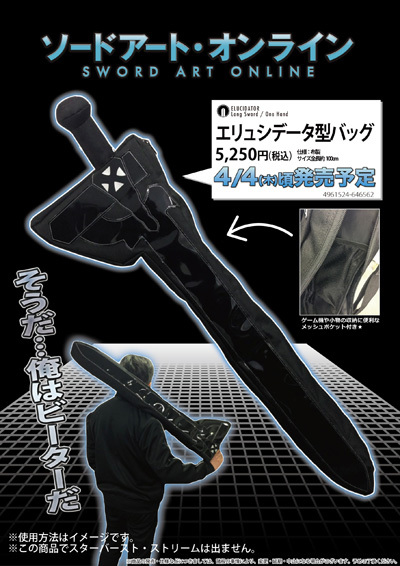 The character goods maker MOVIC is offering a bag shaped like the Elucidator, the sword wielded by the lead character Kirito in the Sword Art Online anime. The cloth bag measures 1,000 millimeters (about 39 inches) long and includes mesh pockets that are handy for storing game systems and gadgets. The sword will go on sale on April 4 for 5,250 yen (US$57). Google owns YouTube, the largest video streaming site in the world by a huge margin, and Play Music, the service that lets users download songs from a catalog of over 13 million of tracks. It makes perfect sense for the tech giant to move into the music streaming business, and, according to the Financial Times, that is precisely what Google is doing. The move will put Google in competition with established music streaming services like Pandora and Spotify. When Apple was rumored to weigh in an entry in the sector, Pandora’s stock tanked, so I am wondering how the markets will react at the news of Google getting into streaming. Larry Page’s company has a reputation of offering free or cheap services, which would put even more pressure on a competitive and notoriously difficult industry. As The Next Web notes, Google already announced plans to roll out paid subscriptions on YouTube. From there, the move to paid music subscriptions is logical and quite reasonable to envisage. Google certainly possesses the infrastructure required for the venture. Also, Google’s Music Match service is similar to a streaming app, albeit without the paid subscription. With Music Match, Google scans the users’ drives for music, which it then proceeds to match with cloud-stored versions. Users of the service (limited to the US and some European countries) can then listen to up to 20,000 tracks directly from the cloud, from any Internet connected device.